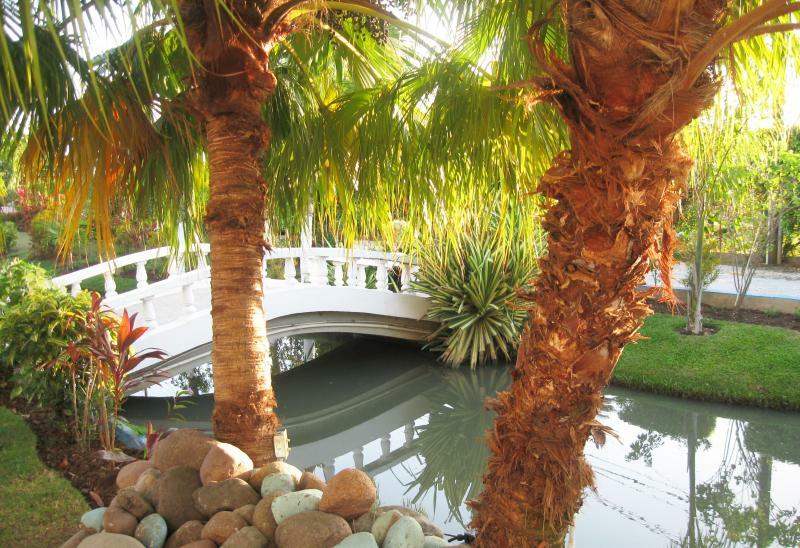 In the heart of the south coast countryside, this Jamaican Resort, Bridge Palm Hotel is a one of a kind treasure. Nestled in Toll Gate, Clarendon (45 minutes from the island's capital, Kingston). This exclusive property surpasses other hotels with its exceptional services. Its pristine surroundings includes a fish pond, manicured lawns, a restaurant and other services. Bridge Palm is ideally located on the highway between the Town of May Pen in Clarendon (10 minutes) and the Town of Mandeville in Manchester (20 minutes). Standard, Moderate, Family and Executive. Rooms include double twin, queen, king size beds, and bath, Some suites with balcony and/or senic view of the mountain side. Some rooms with phone, local TV, and air conditioning/fan. Family and Executive suites offer the added amenity of a mini-refrigerator. Meeting & Banquet Facilities. Capacity up to 300. Copyright 2018 Bridge Palm Resort Ltd. All rights reserved.